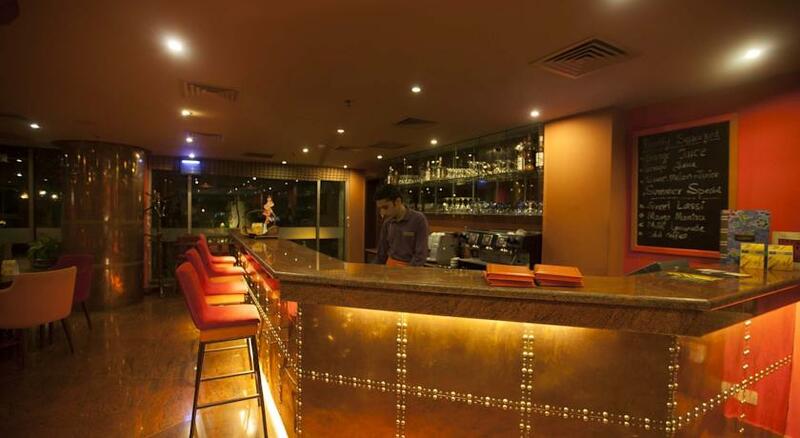 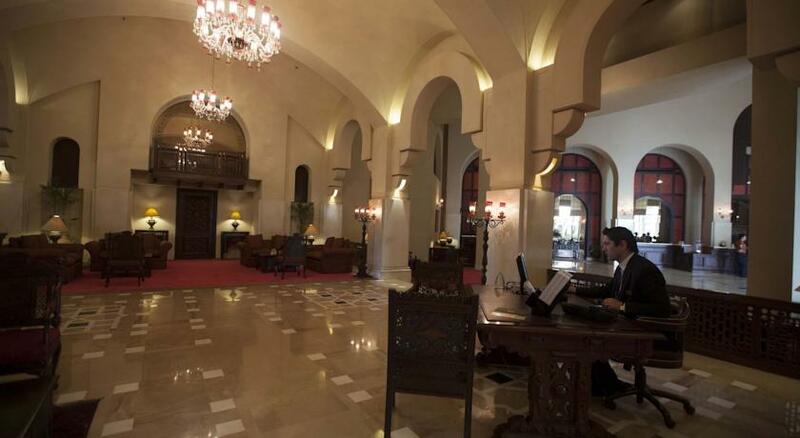 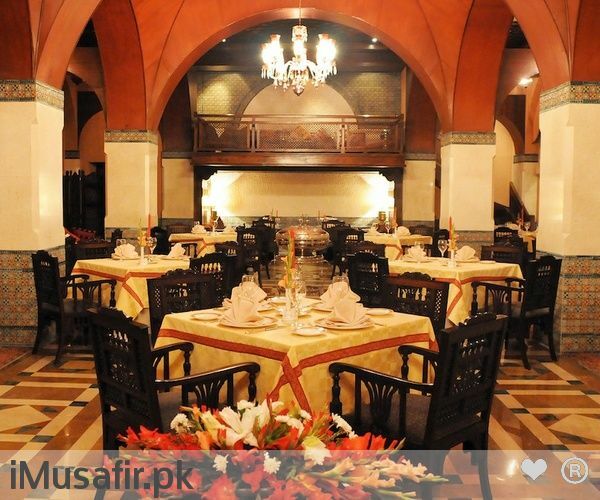 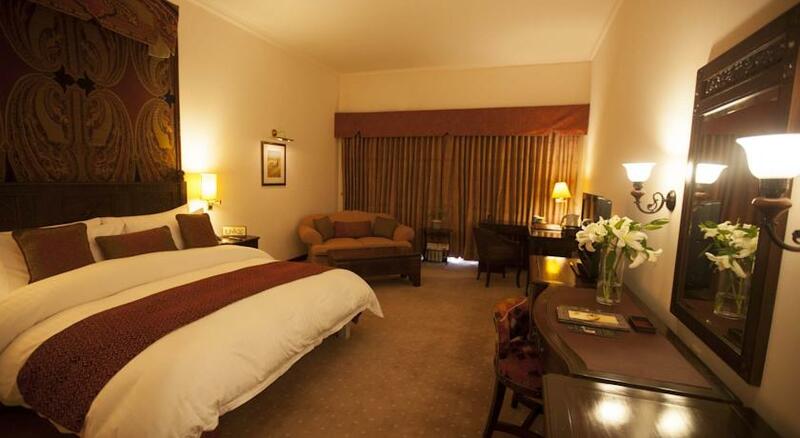 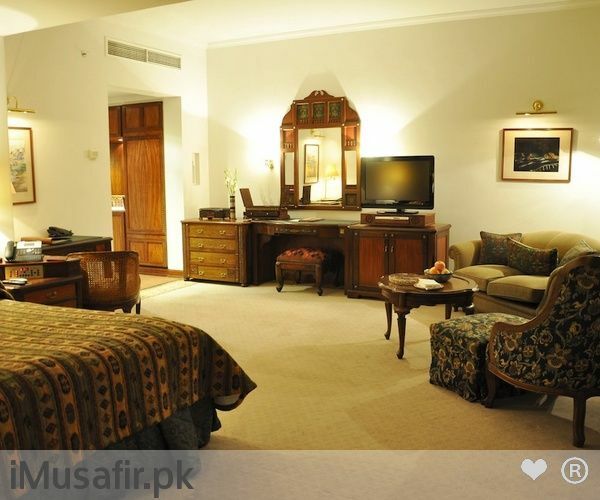 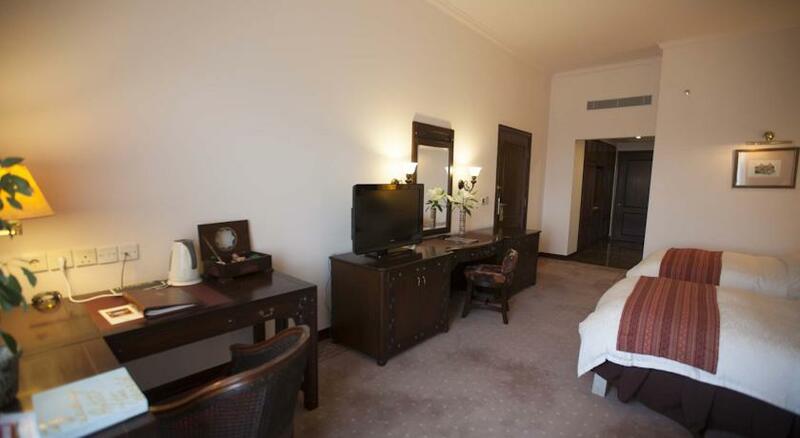 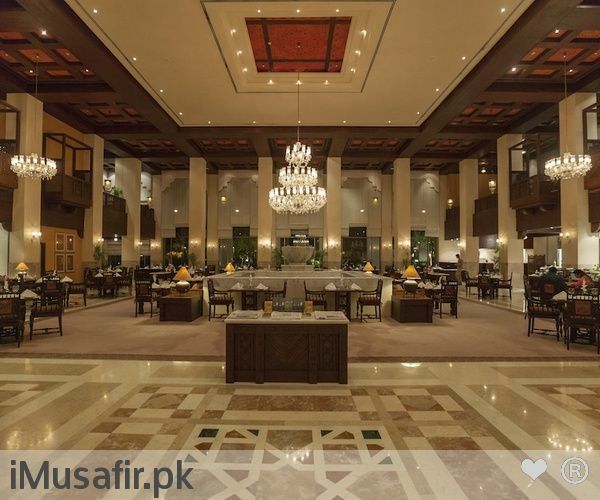 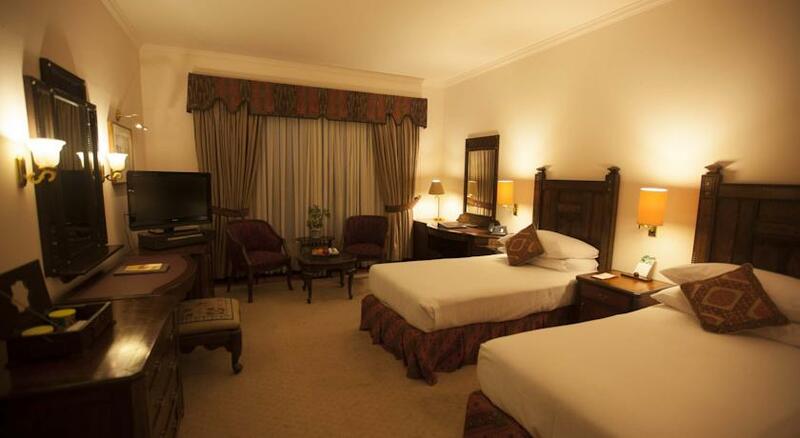 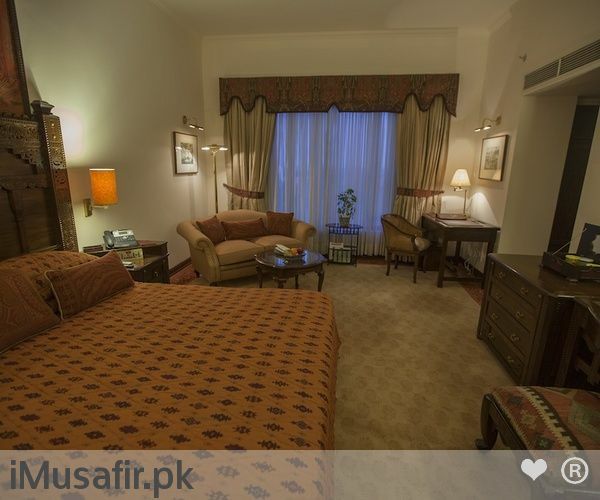 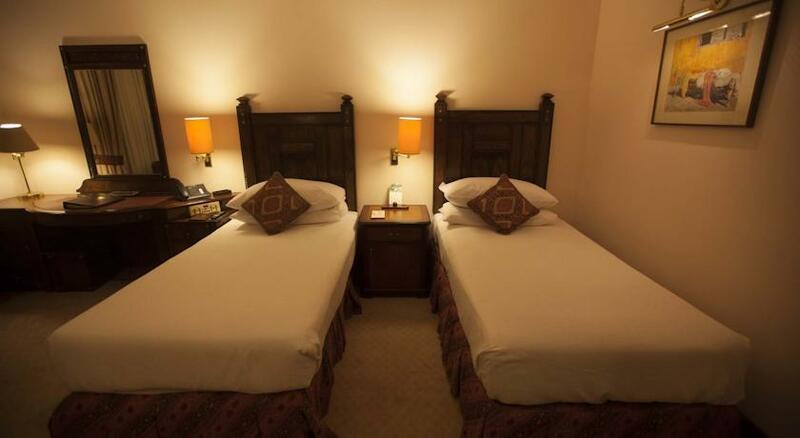 Book Serena Hotel Islamabad on cheap rates | iMusafir.pk. 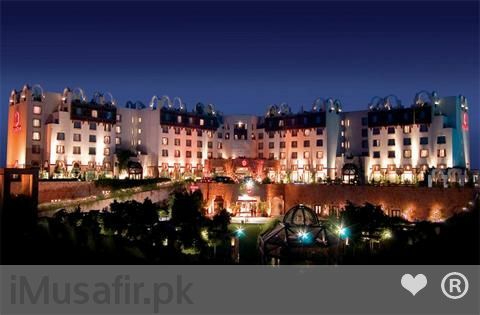 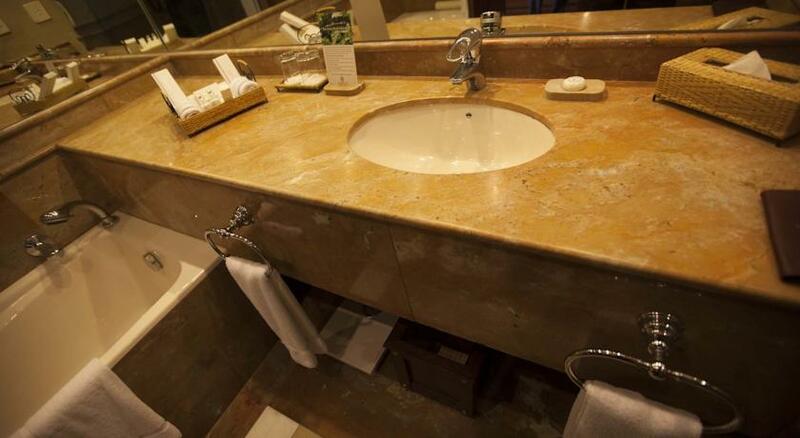 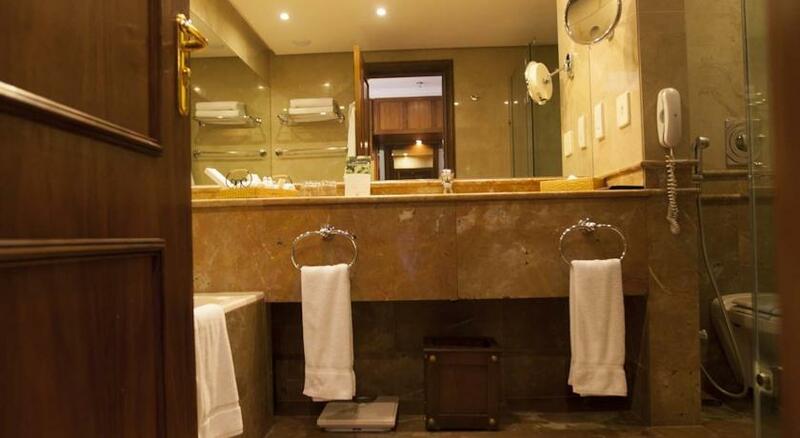 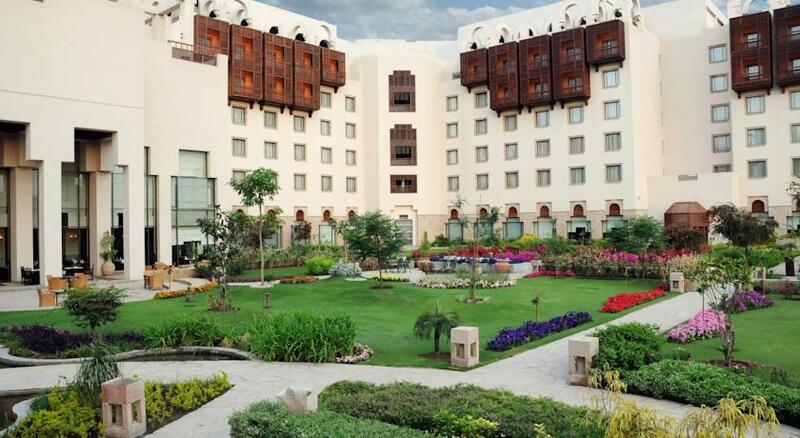 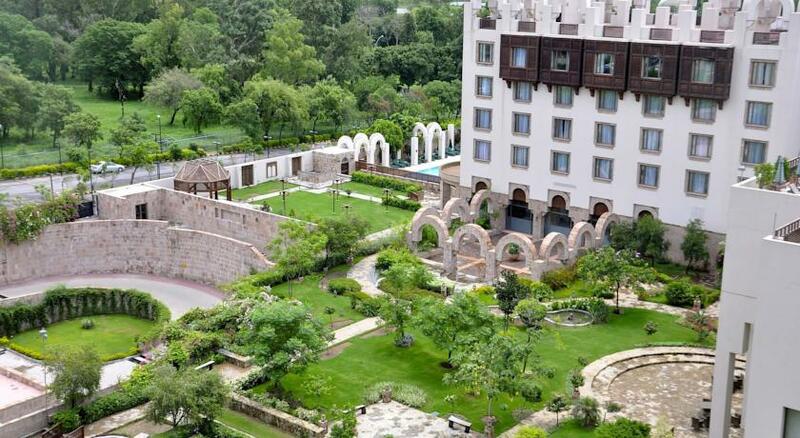 The Islamabad Serena Hotel stands at the foot of the Margalla Hills, on fourteen acres of land, with beautiful gardens and serene water shore of the Rawal Lake in close proximity, next to the Diplomatic Enclave. 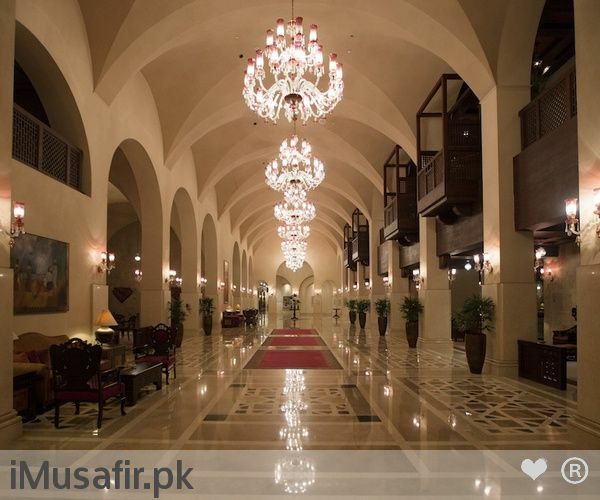 The architecture and interiors of this fabulous Hotel building is a mere reflection of typical Pakistani cultural heritage depicting the skills and craftsmanship of native artisans. 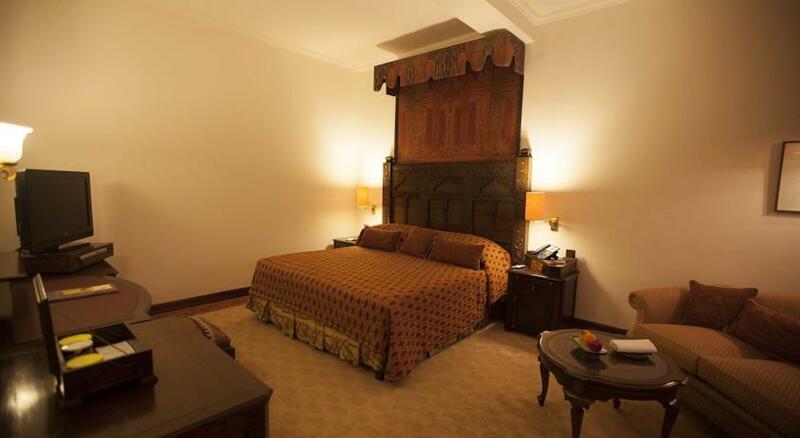 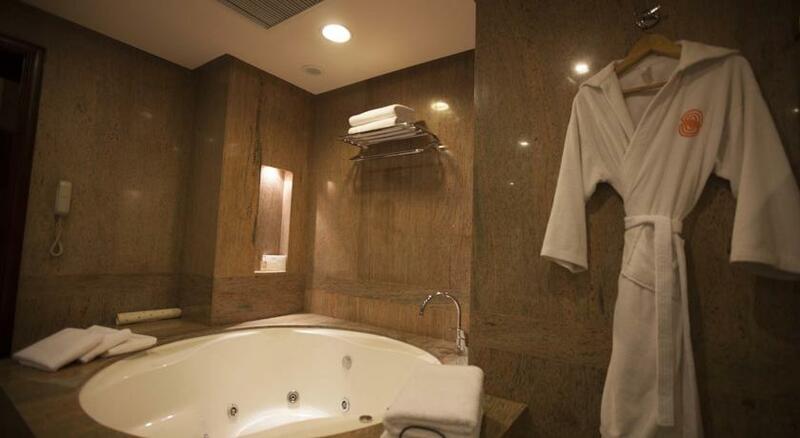 In this state-of-the-art building, local traditions are elegantly combined with latest technologies in order to provide a comfortable stay to our prestigious guests. 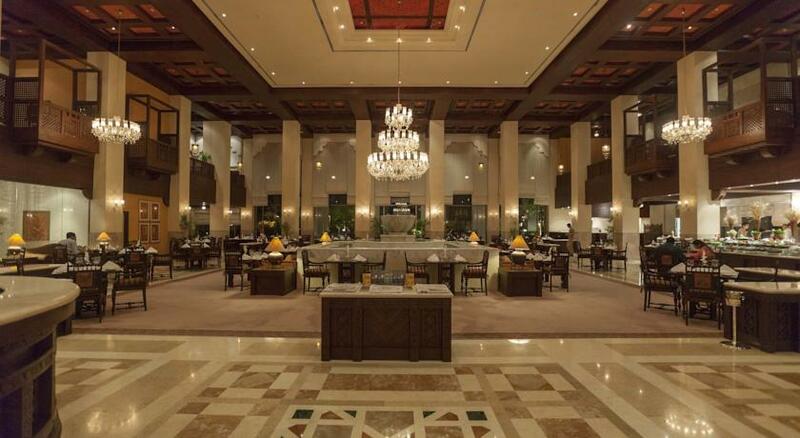 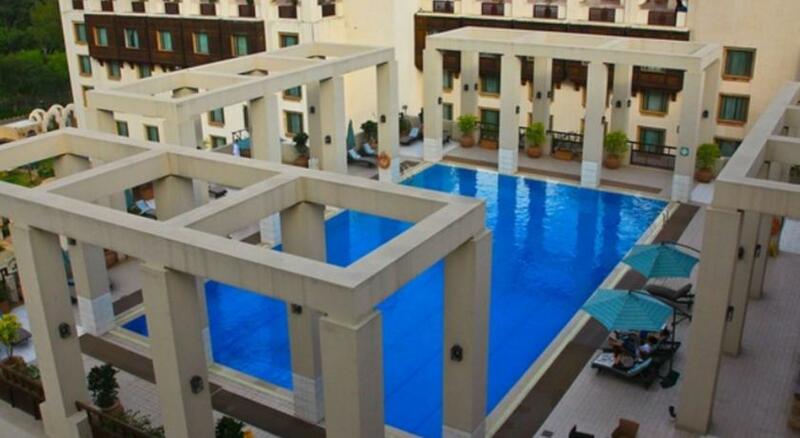 The true spirit of the Hotel is reflected in the aesthetics of the public areas, corridors, rooms, and restaurants, highlighting trademarks of Islamic architecture. 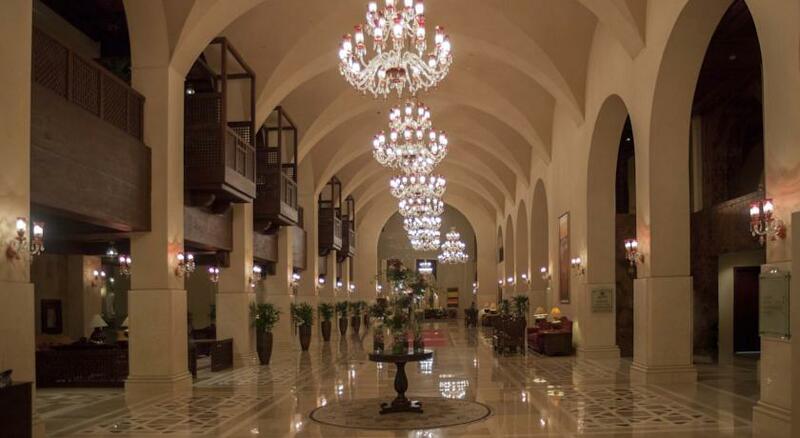 The Hotel’s remarkable architecture is a blend of rich, elaborated, and vivid designs where the artisans have really shown their magical skills especially on the ceilings, floors, and walls.